Provides Industrial and Embedded Computing Services and Solutions for like ePlatform Services, e-world computing and web-based automation. Business categories: Embedded ePlatform, eServices & Applied Computing, and Industrial Automation groups. 380 Fairview Way, Milpitas, CA 95035 USA. Specialists in converting legacy peripherals to Universal Serial Bus (USB). We offer the easiest route to USB migration by combining USB-Serial (USB-RS232) and USB-FIFO silicon solutions with our ready-to-go royalty free USB drivers. 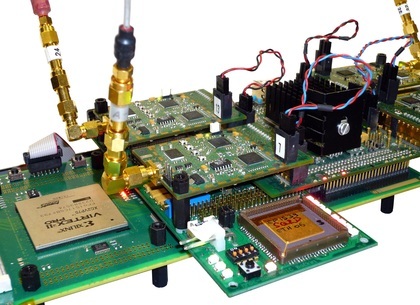 FTDI's "total" solutions offer reduced development and debug costs and a fast time to market. FT9xx Development Modules - Based upon the FT32 high performance, 32 bit RISC core, the FT9xx series provides a plethora of connectivity options, making it the ideal choice for advanced technology bridging solutions. By executing instructions from shadow RAM, rather than flash memory, the FT9xx can operate at true Zero Wait States (0WS) up to 100MHz with 310 DMIPS performance. The MM900EV development modules provide full hardware feature support for the FT90x MCU in a variety of form factors.The modules also provide a connector for accessing external plug-in hardware over an SPI interface. Targeted applications for the module include home security, HMI and automation systems,USB capability products, embedded multimedia applications and a range of other industrial control systems. The Arduino Uno is a microcontroller board based on the ATmega328 (datasheet). It has 14 digital input/output pins (of which 6 can be used as PWM outputs), 6 analog inputs, a 16 MHz ceramic resonator, a USB connection, a power jack, an ICSP header, and a reset button. VirtualBreadboard(VBB) is for designing and testing embedded software in high-level interactive circuit simulations and rapidly prototyping hardware from those designs. Compared to other simulators many people find the high level approach taken VBB easier to use and much faster to model and test out new ideas and circuit variations. VBB electronic circuit components are modeled at the function block level and are wired together to create a real-time interactive circuit simulation representing the whole embedded application. VBB does not use SPICE. SPICE is better suited to subcircuit designs whereas VBB is concerned with merging multiple subcircuits treating each subcircuit as a self contained function block. An open source USB programmer for PIC micros, I2C EEPROMs, some ATMEL micros, generic I2C/SPI devices and (soon) other devices. Usbpicprog is an USB in circuit programmer for Microchip PIC processors. The hardware is as simple as possible, the current version only contains one PIC18F2550, 4 mosfets, and besides the connectors a hand full of passive components. A Schematic Editor with Active Simulator oriented towards RF and Communication Circuits. Good support for Power Electronic Devices and Circuits like IGBT and Mosfet. "The multi-page hierarchical schematic editor makes it easy to sketch a circuit. Once a circuit is created, you can do a transient, AC, DC, transfer function, sensitivity, or distortion with a simple command." Micro-Cap 10 is an integrated schematic editor and mixed analog/digital simulator that provides an interactive sketch and simulate environment for electronics engineers. Animation lets objects change their display or respond to user clicks during a simulation. In this mode, a single analysis time step is taken and the schematic displays and animate devices are updated on the schematic. The animation components can also be used in a Dynamic DC analysis. Technology marketing, distribution and services companies. Broad array of electronic components from leading manufacturers. Global distributor of electronic parts, enterprise computing and storage products and embedded subsystems. Circuit Protection, Data Conversion, Development Kits and Tools. Optoelectronics, Power Supplies, Programmable Logic. Although the corporation's products have been an important part of computer networking, the corporate name is neither an acronym nor a coined word, and dates from nearly a century ago, when it was founded by Charles Avnet in 1921. KTechLab project. KTechLab is a an IDE for microcontrollers and electronics. It supports circuit simulation, program development for microcontrollers and simulating the programmed microcontroller together with its application circuit. Ktechlab was developed by David Saxton. Integrated Design Environment (IDE) for electronic and PIC microcontroller circuit design and simulation. Featuring an extensive circuit designer with autorouting and simulation of many common electronic components and logic elements, KTechLab is the idea tool for educational or hobbyist use. You can simulate analog circuits and logical circuits using KTechLab. You can write programs using Assembly, C (SDCC), or Flow Code - program the microcontroller(PIC) using ﬂowchart. Another option is Microbe a programming language like BASIC. KTechLab supports a wide range of Open Source PIC programmers, enabling ﬁnalised PIC programs to be quickly and easily transfered to a real PIC microcontroller. Innovative design, development and production services in electronics and technology. Industrial and medical applications. Engineering Service and Manufacturing Services. A leading manufacturer of high-performance programmable logic devices PLDs, field-programmable gate arrays FPGAs, programmable mixed-signal and interconnect products, related software and intellectual property IP. Products include FPGAs, CPLDs, Power Management and Clock Management Devices. PeeWeeLinux is an ongoing development effort to provide an environment that makes the configuration and installation of a Linux operating system on an embedded platform as easy and painless as possible. The Saleae Logic Pro 16 USB Logic Analyzer is a 16 channel logic analyzer with each input dual purposed for analog data recording . The device connects to a PC over USB and uses the Saleae Logic Software to record and view digital and analog signals. Sixteen Digital Channels - 500 MSPS Digital Sampling (max) - 100 MHz Max Digital Bandwidth -Sixteen Analog Channels - 50 MSPS Analog Sampling (max) - 5MHz Analog Bandwidth. GlobalFoundries was created by the divestiture of the manufacturing fab of AMD and later it enhanced its global presence after the merger with Chartered Semiconductor. "Manufacturing centers in Germany, the United States and Singapore deliver advanced technologies to market in high volume..."
Assured long term supply and innovation of 200mm technologies with scalable plug-in modules such as analog/RF, High Voltage and embedded memories. Learn analog design and layout best practices in 22FDX 22nm FD-SOI process technology in this two-part workshop. Part one—design, Part two—layout. Interface an Arduino to electronic sensors to make these basic measurements. These are needed in your Garage, Basement, Attic or Loft; The Living Room too, Humidity and Temperature have an impact on your health and also the life of the furniture and wood construction material too. This device will show air temperature in C and F, and % Humidity on an LCD display. A DHT11 Humidity and Temperature Sensor converts the Real world Parameters of Temp/RH into readable Volts for the Arduino A/D section. DHT11 from Aosong is a digital temperature and humidity sensor. A type of composite Sensor that contains a calibrated digital signal output of the temperature and humidity. "Application of a dedicated digital modules collection technology and the temperature and humidity sensing technology, to ensure that the product has high reliability and excellent long-term stability. The sensor includes a resistive sense of wet components and an NTC temperature measurement devices, and connected with a high-performance 8-bit microcontroller." Embedded Artists and NXP have developed the Android Open Accessory Development Kit on ARM Cortex-M Architecture. This Embedded Artists kit makes it easy for designers to develop, evaluate and prototype complex accessories for Android HandHeld devices. "The board’s unique gateway-centric design includes Ethernet, CAN and IEEE 802.15.4 interfaces as well as a remote CAN node, enabling designers to develop highly advanced accessories not only for consumer applications, but also for home, building and industrial automation applications requiring different types of connectivity." Users of the Embedded Artists AOAA kit will receive all the software needed to get started with their designs including reference applications to test and build Ethernet, CAN and wireless functions. The reference applications are royalty-free. "The Android Open Accessory standard provides a critical link between phones, tablets and other mobile computing devices, and the embedded systems that are pervasive in our daily lives.."
Embedded Artists is a leading provider of products and services around prototyping, evaluation and OEM platforms for NXP-based embedded systems. NXP Semiconductors provides High Performance Mixed Signal and Standard Product solutions that leverage its leading RF, Analog, Power Management, Interface, Security and Digital Processing expertise. "uniting warring factions in parts of what is now Norway, Sweden, and Denmark - just as Bluetooth technology is designed to allow collaboration between differing industries such as the computing, mobile phone, and automotive markets....."
On your phone - With Bluetooth technology your phone can do more than you realize. "Bluetooth technology also uses radio waves. The biggest difference between Bluetooth technology and devices like FM radios and TV is distance. Radios and TV are meant to broadcast to many people over miles or kilometers. Bluetooth technology sends information within your own personal space, which is called your..."
" This eHealth manager allows to build health care networks where medical information in the home environment is automatically collected from Bluetooth -enabled medical sensors applying with IEEE 11073-20601 protocol, and transmitted via Internet to eHealth servers..."
They provide solutions in EDA that simplify the circuit design process and enhance the Performance/Yield. They provide the technology for analysis and optimization of yield and performance of analog, mixed-signal and digital designs. MunEDA WiCkeD tools are seamlessly integrated into the main industrial standard simulation environments and design frameworks but also support customer specific inhouse simulators and designflows. "WiCkeD Basic delivers a powerful basic feature compilation to enable the circuit designer to do enhanced topology analysis, constraint setup and management as well as different analysis types for circuit performance, parameter sensitivity and correlation." Grantronics is a fully Australian owned, family-run consultancy providing Industrial Electronics hardware and software design and manufacturing services. Christmas Star project Nov-98 issue SCM. Ideal for those small jobs where a standard embedded controller can't be justified. The GMC75X is like a "BASIC Stamp" except that you can program the module in 'C' using C-FLEA and a download cable. Alternatively, use 8051 assembler. "In the early 1980's, products were designed using the Zilog Z80 micro-processor. These ranged from a simple sequence controller to one of the world's first all digital DC motor controllers. Single and 3-phase 240Vac and 415Vac fully regenerative models were developed. Some are still running today! A common application area was paper and film conversion machinery." PO Box 275, Wentworthville. NSW. 2145. Australia. USB TTL Serial Cables The USB TTL Serial cables are a range of USB to serial converter cables which provide connectivity between USB and serial UART interfaces. A range of cables are available offering connectivity at 5V, 3.3V or user specified signal levels with various connector interfaces. Zigbee Chip TI CC2531(USB-Enabled SOC Solution for 2.4-GHz IEEE 802.15.4 and ZigBee App) can be used also. Provides the same functionality and the PC for serial communication terminal. Powerful Devices in small sizes are possible with ARM based devices. Handhelds, Netbooks, Robots and Small Machinery can integrate an ARM based SBC with Touchscreen at moderate cost and low energy burden. If you want to scale higher in some dedicated embedded solution for a specific need, you also need the full power of a PC, Then an ARM based system with Linux OS, can be Tailored to a perfect fit. This page documents an ARM9 single board computer designed for image acquisition and processing. It's an open implementation, which means schematics and layout files are freely available. The platform runs Linux/ARM. "My student research project was programming a bootloader and patching the Linux kernel and a root filesystem in a way that an Atmel AT91RM9200 based microcontroller board does not only boot without problems, but is also a nice environment for applications "
The PSoC 4 L-Series Pioneer Kit features the PSoC 4200L device - industry’s most flexible 32-bit ARM Cortex-M0 solution. The PSoC 4200L device is a member of the PSoC 4 L-Series device family with up to 256KB flash, 98 GPIOs, 13 programmable analog blocks, 20 programmable digital blocks, dual CapSense hardware blocks, full-speed USB, DMA and CAN. The PSoC 4 L-Series Pioneer Kit is the industry’s first development platform that features footprint to connect two Arduino Uno compatible shields side-by-side.